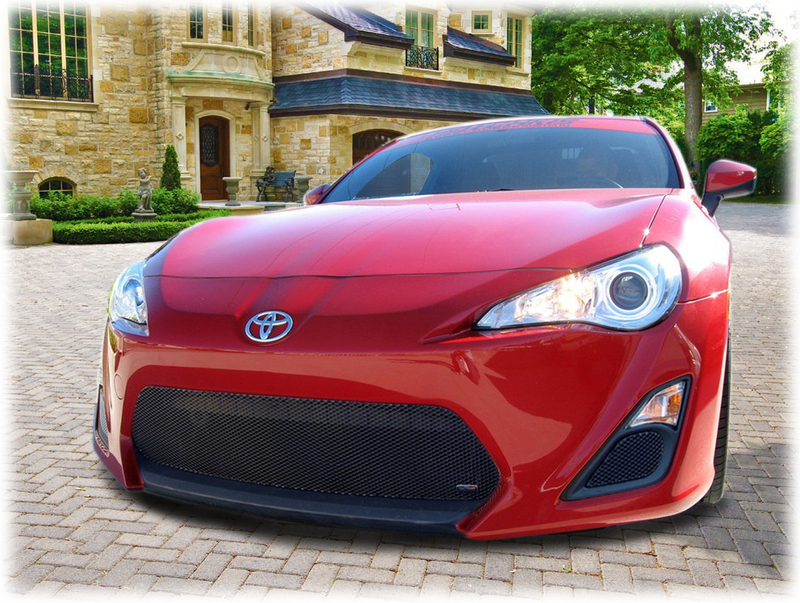 1-Piece Lower Central Sport Grille by Grillcraft to fit 2013-2016 Toyota Scion FR-S at low cost. Protect the operation of your engine while enhancing your vehicle's design with this custom-made aftermarket accessory in silver by Grillcraft to fit your model perfectly. Protect the operation of your engine while enhancing your vehicle's design with this custom-made aftermarket accessory in black by Grillcraft to fit your model perfectly. 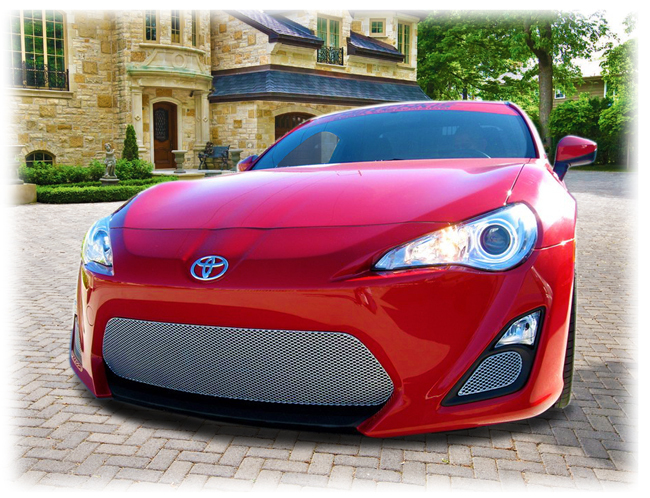 The 1-piece lower central Toyota Scion FR-S sport grille by Grillcraft is shown in siver. Installs into factory grille shell. Drilling for mounting screws required. Grille Shell Center Section Must Be Cut Out. The 1-piece lower central Toyota Scion FR-S sport grille by Grillcraft is shown in blackr. Installs into factory grille shell. Drilling for mounting screws required. Grille Shell Center Section Must Be Cut Out. Protecting Your Engine from Common Wear and Tear! 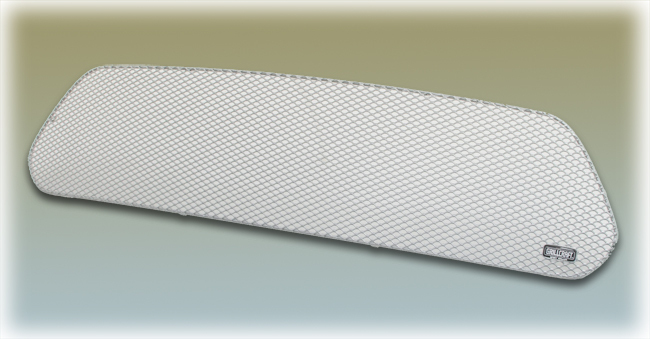 Made from an exclusive steel mesh pattern design, these Toyota grilles are zinc-plated then finished with a 3-Stage baked-on powder coating in either Aluminum Silver (which shines like polished aluminum in sun light) or Gloss Black finish. 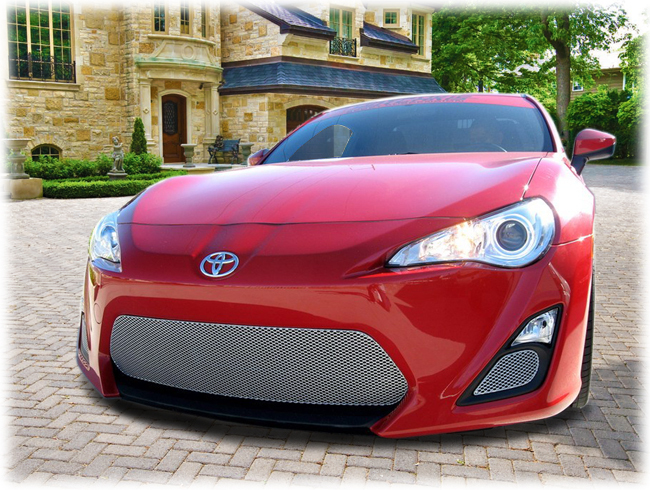 Every Toyota Grille we sell is intended to exceed your expectations and enhance your vehicle in the most optimal way. Our slick grilles will keep road debris from entering your motor compartment while taking your vehicle design to a new level of sophistication. An excellent product with consistently positive customer reviews! 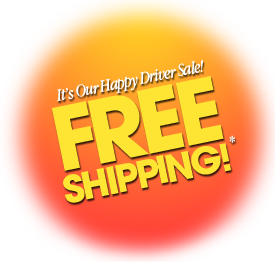 *Enjoy Free Ground Shipping on this product within the Continental US (excluding Alaska and Hawaii) for a Limited Time during our Happy Driver Sale! Please review Installation Instructions before ordering. 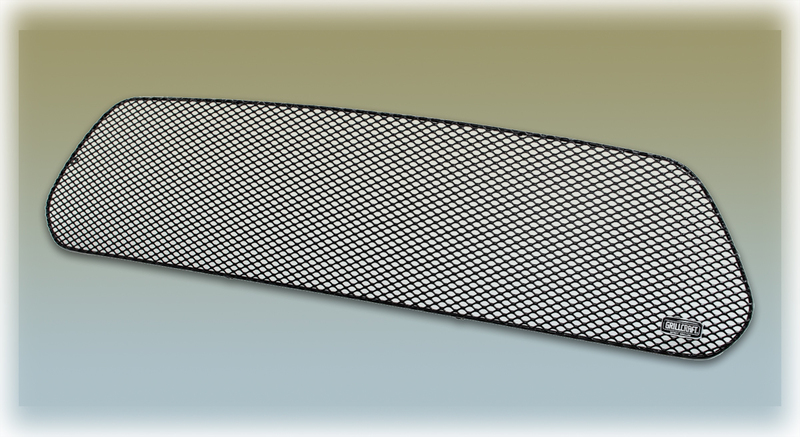 Installs into factory grille shell. Drilling for mounting screws required. Grille Shell Center Section Must Be Cut Out. Good shipping, good product. I removed original crush-box, and added a drift-bar for extra strength before install, and the grill is more open. You may specify your choice of color when you order below. Please review Installation Instructions before ordering. 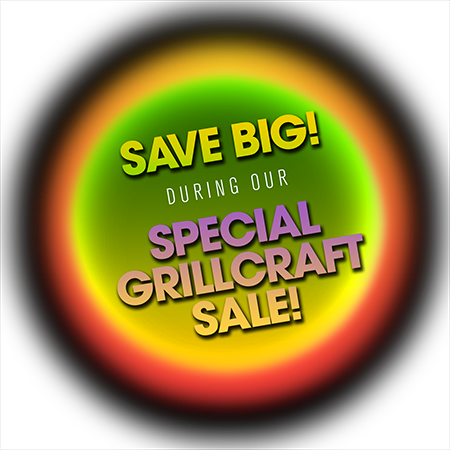 Some grilles require cutting and/or drilling. Please check fitment before beginning the installation. 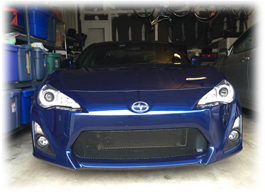 Note:If you are not sure about installing this grille on your own, we recommend that you use a local authorized installation facility or a local body shop to do the complete installation of this grille. If you need guidance, we are happy to assist you. whenever you need our help! You can rest assured that your personal information is protected from identity theft on this site. Note: Photos are sample representations only. Products may differ due to variations necessary during manufacturing. © 2015 MyCarWorx.com – All Rights Reserved. C&C CarWorx Corp. is not in any manner authorized or approved by or connected with Subaru of America, Fuji Heavy Industries, Ltd. or Toyota Motor Corporation and does not sell genuine or authorized Subaru or Toyota original equipment manufacturing (OEM) parts. C&C CarWorx sells its own high quality, custom designed and manufactured parts produced to fit both new and older models of Subaru and Toyota, giving customers an excellent source of maintaining and/or improving the pleasure of Subaru or Toyota ownership at an affordable price for the life of their vehicle. C&C CarWorx Corp. is not in any manner affiliated with Grillcraft, Romik, DBA, Hawk, Carbotech, 3M, Sherwood Innovations, Inc.or Parrot SA but is authorized to sell products from these sources which may be represented on this website, sometimes in conjunction with use of our own C&C CarWorx products. Subaru, Six Star Cluster design, Ascent, Baja, BRZ, XV Crosstrek, Legacy, Impreza, Tribeca, WRX, STi, Outback and Forester are trademarks owned by FUJI and Subaru of America. Toyota and its models which include but are not limited to 86, Allion, Alphard, Auris, Avalon, Avanza, Avensis, Scion xB, Belta, C-HR, Camry, Century, Coaster, Comfort, Corolla/Sprinter, Corolla Axio, Corolla Fielder, Corolla Rumion, Crown, Crown Majesta, Dyna, Estima, Previa, Etios, FJ Cruiser, Fortuner, Granvia, Toyota Heavy Duty Truck (FA and DA Series), Highlander/Kluger, Hilux/Toyota Pickup, 4Runner, HiClass, Hiace, Innova, iQ, Isis, ist / Scion xA, Kijang/Condor/Qualis/Revo/Stallion/Tamaraw/Unser/Zace, Kingdom, Land Cruiser / Lexus LX, Land Cruiser Prado / Lexus GX), LiteAce, Mark X, Mark X ZiO, Matrix, MiniAce, Nadia, Noah, Passo, Picnic , Porte, Premio, Prius, Probox, Qualis, Ractis, Raum, RAV4, Reiz, Rush, Sai, Scion FR-S, Sequoia, Sienna , Sienta, Succeed, Tacoma, Tamaraw FX, Tiara, TownAce, ToyoAce, Tundra, Urban Cruiser, Vanguard, Venza, Verso, Vios, Vitz/Platz/Yaris/Echo, Voxy, WISH, X-Runner, Yaris, Zelas / Scion tC are registered trademarks owned by Toyota Motor Corporation. 3M, the 3M logo, and Scotchgard are worldwide trademarks or registered trademarks of 3M. PARROT SA is a registered trademark and its products, accessories and exclusive models are protected by the appropriate patents and trademarks. 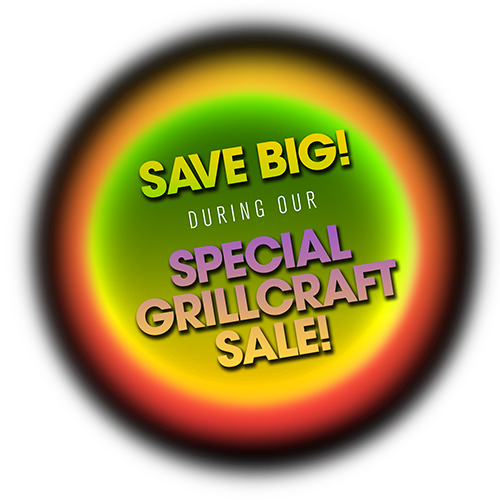 Grillcraft, Romik, DBA, Kangaroo Paw, Hawk and Carbotech logos are trademarks of those respective corporations and are used with permission. C&C CarWorx Corp. owns the trademark for its C&C CarWorx logo and the registered trademark for its service mark, Perfect Fit®.